I know it is not your fault to look good and charming! They come running after you and all you got to do is ignore! Uggghhhh! You cannot be blamed if you don't go for everyone! I know you mean no harm and you just can't help it! 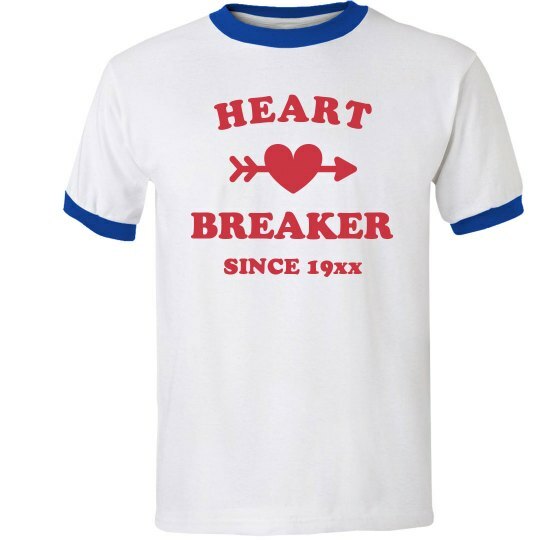 So go ahead and customize this shirt and tell them when you were born to unintentionally breaking hearts! ooopppssss!